Ray White Real Estate was founded in 1902 and has grown to a network of over 1000 offices throughout Australasia with around 220 offices throughout New South Wales alone. Due to the professionalism and experience of the Ray White group, we have been the areas leading agency helping around 220,000 homeowners and purchasers successfully buy and sell property annually. With the Internet being one of the most important marketing tools available to you today, these sites provide the BIGGEST NET to reach the most buyers possible. In fact – Ray White is the most ‘Googled” brand in Australia. Our specialised staff of 12 full time, dedicated, hardworking and professional salespeople are of the very best in the industry. Our team members have been “hand picked” based on their experience, professionalism, ethical and performance reputations and familiarity with the area. We are renowned for achieving exceptional prices for our vendors and providing the highest calibre service. Approximately 50% of our successful sales come from our existing client database or purchasers who are actively house hunting and are registered on our database. So whichever mode of sale you decide is best for your property, Auction, Private Treaty or Tender/Expression of Interest, in the 10 days prior to any formal marketing on your home we exhaust the qualified buyer leads on our databases. We often get premium prices for properties without having to go to the lengths of a formal marketing campaign – saving you time and money. We also sell many homes in the area without anyone knowing about it – with no signboard, no advertising, etc. We may have sold one of your neighbours this way and yours could be sold this way too. We also have an email serviced database of purchasers which presently sits at over 20,000 subscribers. These people are looking to purchase IN OUR AREA and are contacted at least once per week. This is yet another tool available to you to reach every potential buyer. Our connections with the Ray White network, particularly within our Prestige Network such asRay White Surfers Paradise on the Gold Coast and Ray White Double Bayin Sydneys Eastern Suburbs, provide our vendors and their properties the very best possible exposure. 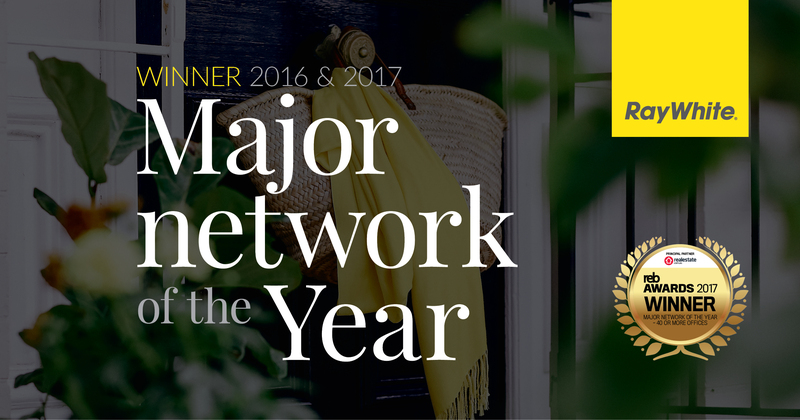 The strength of Ray White in these marketplaces, and our buyer referral network, means we don’t have to market your home in out-of-area real estate publications to reach buyers in these regions. Our offices do that for you. Selling your home is a big decision that requires a great deal of thought and research. There are essentially three basic parts Preparing for the sale, making the sale and after the sale. We have gone into some further detail for you to assist in that decision. We always seem to remember first impressions. If your home looks fresh and well maintained outside and in, then prospective purchasers will be impressed from the start. 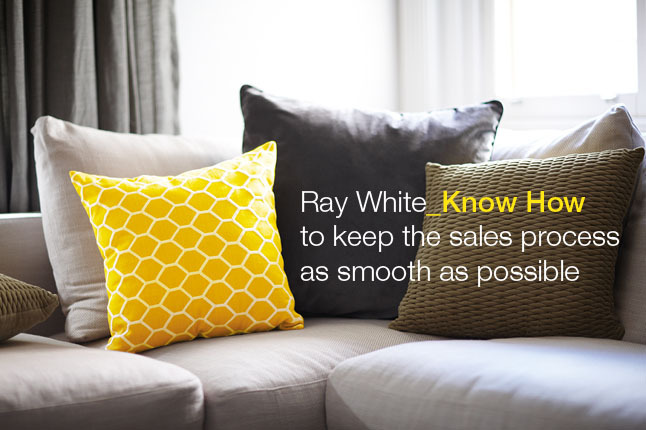 Your Ray White sales consultant can assist you with your presentation options including recommending an expert stylist. Also see Presenting your Home Check List.. Recent sale prices of properties in the area similar to yours. Properties similar to yours currently for sale. The current state of the property market. It is important to note that there is no single best way to sell your home. Each home and owner is different and each situation should be considered individually.Ask your agent to compare the success of each method in your area for properties similar to yours. There is likely to be a trend for one of them and you may achieve greater success by choosing it. 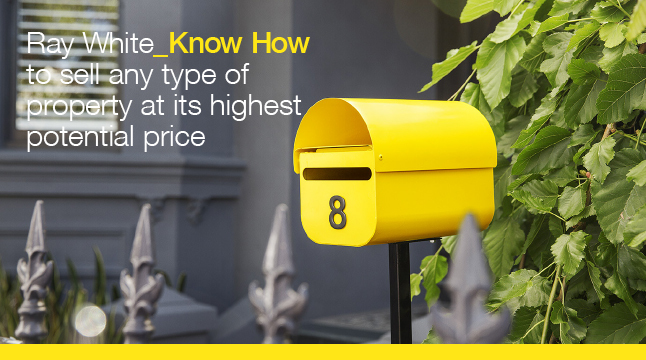 Your asking price is likely to be the maximum paid or the basis for lower offers. The open-ended time frame can result in the property being on the market for a longer time increasing marketing costs. The lack of urgency or pressure often results in sales falling over between the time of deposit and exchange of contracts. Where a cooling off period applies, buyers may simply change their mind. 2. AUCTION – Auctions are highly focused marketing campaigns designed to expose your property to the maximum number of buyers, maximize your sale price and minimize the number of days your home is on the market. Your home is put up for sale to the highest bidder on a specified date and this is preceded by an intensive marketing campaign including selected “open days”.The impending auction date creates a sense of urgency amongst buyers by putting a clear time frame on your campaign. This method of sale also creates a competitive atmosphere on auction day that is aimed at letting the market determine the highest price for your home.